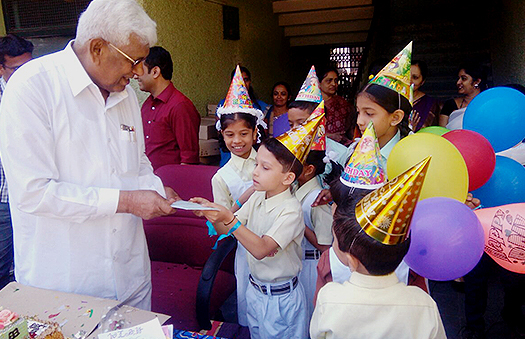 At Sri Sarvajna Public School, our activities form a carefully crafted blend of learning and fun. Through our activities, we aim to educate the children, the importance of being together, learning together and experience the joy involved in impersonal participation. STIMULUS-2017, an inter-school fest and exhibition was organised by Sri Sarvajna Public School, #7&8, 14 th cross, M C Layout, Vijayanagar, Bengaluru – 560040, on the 14 th , 15 th and 16 th of December 2017. 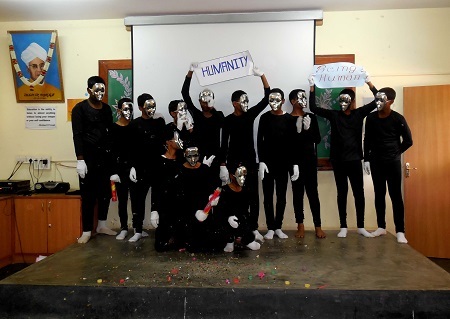 STIMULUS – 2017, was the platform for students to exhibit their talents. The students of Sarvajna and various schools in the vicinity of Vijayanagar participated to showcase their interests in the field of literature, science and cultural activities. The exhibition was a combination of art, culture, science and technology. The campus was a visual treat with a village setup, gurukulam, solar traffic panels and a tunnel filled with models and charts related to the world heritage, literature, art & craft, fun filled mathematics and the disciplines of science. Weather station showcasing the light, sound and heat sensors grabbed the attention of the viewers. The event was inaugurated by Sri Umesh Shetty, Member, BBMP on the 14 th of December 2017, along with the Guests of Honour, Sri B S Paramashivaiah, Founder, Sri Sarvajna Education Society; President, Karnataka Veerashaiva Vidyabhivrudhi Samasthe; President, Veerashaiva Sahakari Bank and Dr B P Madhumati, Principal, Sri Sarvajna College of Education. The inauguration was followed by Debate, Model Making and Bhasha Sangama (Quiz) for students; Elocution for Teachers. 15 th of December was for the students to discover the disciplines of science. Students exhibited and explained working models of Science. Working model of Rocket prepared by the students of Sri Sarvajna Public School was the highlight of the day. Manthan the Quiz show, kept the audience captive. A vision of the year 2030 was seen in the posters prepared by the students. 16 th of December was the Highlights of Culture. The day started with Rhythm, the group dance competition. Rocking performances set the stage on fire. Students sung their heart felt melodies in Music Mania, while the parents stimulated the judge’s taste buds in the cooking competition. 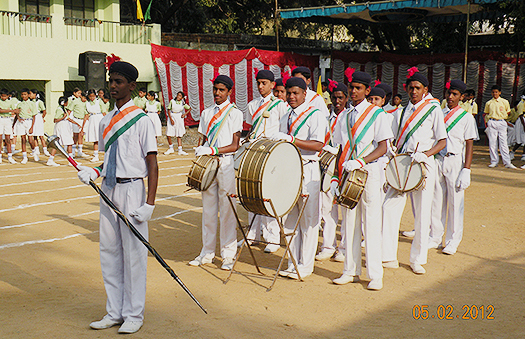 The competitions were followed by the Valedictory at 04:30pm. The Chief Guest was Sri Priya Krishna, MLA, Govindarajanagar Constituency and the Guest of Honour was Sri Raghuveer S Gowda, President, Karnataka Pradesh Youth Congress Committee. Prize distribution for the winners was blended with a musical treat. 25 schools in the vicinity of Vijayanagar participated on all the three days. BSP Rolling Trophy and a cash award of Rupees 20,000/- was shared between Sri Sarvajna Public School and Sarvodaya National Public School which scored 130 points each. The 3-day mega event became a beautiful experience, to cherish for years to come. To help students learn and experience outdoor activities, we regularly organize field trips, picnics, and excursions. Trips and Excursions provide the opportunity for children to gain new perspectives, helps in socializing and acquire knowledge about things they have not explored. We have gained a distinct recognition and have acquired a special space in the Cluster, Zonal, and Taluk level sports and games competitions. The school has promoted sports and games in the best way possible, and has made sports and recreational activities a compulsion within the syllabus ever since its establishment. Abiding by our line of thought that believes in learning with fun, our co-curricular activities are evenly distributed throughout the year. The activities also help towards unearthing hidden talents of children, while also provides the needed rejuvenation and breaks the monotony of academic studies. A month solely dedicated to cultural activities. Talzo Twist, Lahari Skits, Jigs & Jingles and Fancy dress are some of the dedicated activities of July. A month dedicated to mark the significance of our country’s independence, thus spreading awareness about our nation’s freedom struggle and the people involved. We involve students in various activities such as skits, role play, paper presentation, dance, and drama. RECAP- is a quiz competition that helps students understand the history of our country and the advent of Europeans. s creativity and nurturing the thinking process in them. November is the month where the whole school readies to recognize and perceive the thoughts instilled by our founder Sri B.S. Paramashivaiah. On this day, a number of ‘fun with learn’ activities are conducted that take the form of various competitions. Activities such as cooking without fire, wealth out of waste highlighting the importance of environmental conservation, and many such educative events are also ideated and executed during the whole month. December brings science and technology to the school grounds. 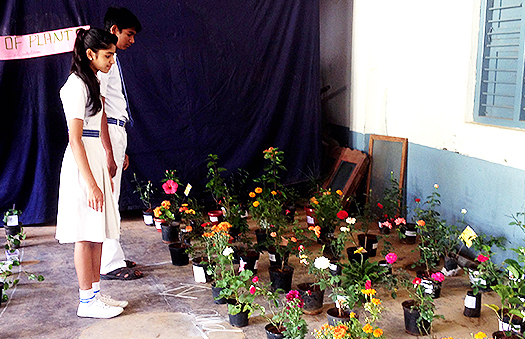 Students participate in large numbers and experience their own science space with Folktales, Tap your feet, Nutrigain (awareness about eating habits), Flora & Fauna (plants and animals) and a kid`s expo to showcase their learnings.